The Global Positioning System or GPS was invented by the U.S. Department of Defense. The cost for GPS research and development was excessive, but the nuclear threat at the time outweighed the cost. Twelve billion dollars later the development and deployment of strategically placed satellites and ground stations made calculating geographical positions with pinpoint accuracy easy. The rest, as the saying goes, is history. For the past decade and a half we have enjoyed the features and benefits Global Positioning Systems have to offer. You simply punch in an address and like magic the small box guides you to your destination. GPS technology made finding travel destinations easy for automobile owners, but RV owners still had real-world concerns about using this technology. RVs are longer, taller and heavier than your average automobile, and a GPS designed for automobiles could get the RV owner in some challenging predicaments. Driving or towing an RV can be a white knuckle experience when the GPS leads you to an overpass that is too low, a bridge not rated for the weight or a residential neighborhood with low hanging tree branches. Several years ago I remember searching for a GPS that was compatible with larger and heavier RVs. That search lead me to a GPS designed for professional truck drivers. It did a good job, but it was still missing features RV owners would like to have in a GPS unit. Eventually I started seeing some GPS units designed specifically for use with RVs and decided it was time to upgrade my truck driving GPS model. Having some experience with non-RV GPS models there were some specific features and benefits I wanted in an RV GPS. 1) A screen display large enough to see while traveling down the road. 2) A non-glare screen. Lots of GPS displays are difficult to see because of the glare on the screen. 3) The option to select settings for an RV or for everyday automobile use. 4) A GPS that can be updated with current map data. I have owned GPS units that were basically worthless in a couple of years because you could not update the system with current data. 5) A GPS with RV specific tools like Points of Interest, RV campground locater, warnings, hazards and restrictions, RV friendly exits and RV trip planning features. With my list of criteria the search was on for a GPS unit designed with RVs in mind. I quickly discovered several very reputable GPS manufacturers offering GPS units with RV features. 3) The Good Sam Club Trailer Life directory. 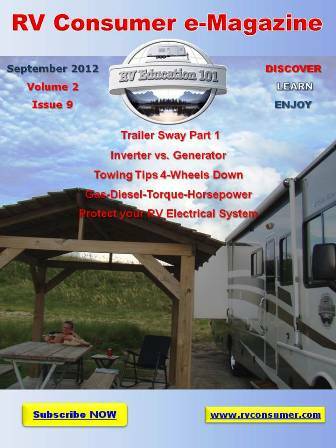 This directory is a great resource for the RV owner. 5) Bluetooth enabled, turns your GPS into a hands-free speaker phone. 6) Turn by turn spoken directions 7) RV campground information and RV POIs. As my research continued I discovered that Rand McNally was the first to actually launch a GPS device designed specifically for RVs. It started with the RVND 5510 & RVND 7710 RV GPS models, and I discovered Rand McNally just released a new and improved RVND 7720LM RV GPS unit. At first glance this new GPS met all of my criteria and more. It is evident this GPS was designed with RVers in mind. 1) The large 7-inch screen that adjusts for low and strong light. 2) The unit lets you choose from 11 different RV types, and can be switched to car mode for everyday use too. 3) Lifetime map updates using the Rand McNally dock software portal for PC and Mac users. 5) Packed with RV specific too ls like Junction View with lane assist, warnings for speed limit changes and other potential hazards, Exits Quick View featuring RV parking and amenities available at exits, RV maintenance logs, and RV safety checklists featuring pre-departure and campground set up checks. It also offers a quick planner to calculate time, distance and cost for trips, pet-friendly locations and there is an address book. 6) Wi-Fi connectivity, enabling transmission and display of weather and other real-time information. This includes current and forecasted weather information for your current location, your destination, and anywhere along your route. The live map overlays display other important information for RV owners like wind speed and precipitation. All of these weather related features are important when making RV travel plan decisions. 7) A fuel log so you can track your fuel purchases, including where it was purchased, gallons and total cost and it can be organized by date or state. 8) A video input that can be used to connect to a back-up or rear view camera. Prices for RVND RV GPS models range from $149.99-$349.99. After researching some of the RV GPS models available, and based on my experience and criteria, I was sold on the new Rand McNally RVND 7720LM unit. The only thing left was to do was put it to a real world test. The first thing I noticed and liked about this GPS unit was the brighter screen. It was really easy to see and can be adjusted for various light conditions. I liked the customized RV setting too. You simply choose the type of RV you have and the length, height and weight. Your best trip route is selected based on the information you provide, and on Rand McNally proprietary information. 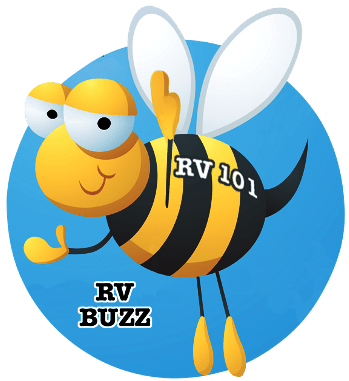 I always stress to others the importance of making safety checks before leaving on a trip, so the RV checklist feature helps make sure noting is overlooked or forgotten. You can even make your own checklists. The Exits Quick View feature made it easy to find things like fuel and places to eat along the way. Something else I always talk to other RV owners about is being aware of the current weather conditions when you are traveling in your RV. I particularly like the real time weather information feature. It not only gives current weather information for where you are, but along your route too. And you can monitor wind speed, an important consideration for RV travelers. It was a breeze to locate our campground and I had the option to search for certain campground amenities we were looking for or needed. The rest of test drive went great with the new GPS unit. I really like the RVND 7720 GPS. I haven’t even scratched the surface when it come to features on this GPS, and can’t wait to check out more during our upcoming RV travels. Regardless of the GPS unit you decide on the good news is there are finally some real RV GPS units to choose from. Do your research and decide which GPS best suits your specific needs and then head to your favorite camping destination using your new GPS. You never know, if you ask for one now maybe Santa will have it waiting for you under the tree on Christmas morning.